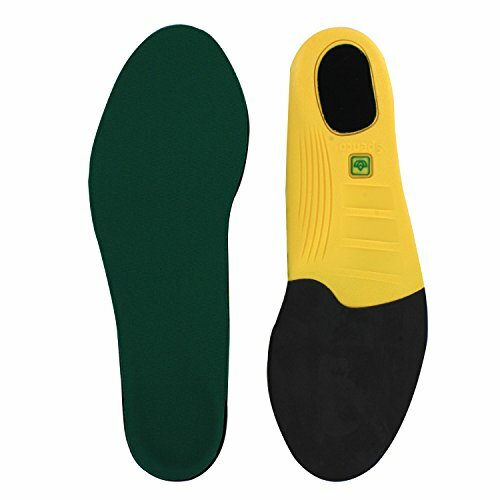 Spenco Polysorb Cross Trainer Athletic Cushioning Arch Support Shoe Insoles, Women's 9-10.5/Men's 8-9.5 | What Should I Say? On Sale Now! Save 6% on the Spenco Polysorb Cross Trainer Athletic Cushioning Arch Support Shoe Insoles, Women's 9-10.5/Men's 8-9.5 by Spenco at What Should I Say?. MPN: 38-034. Hurry! Limited time offer. Offer valid only while supplies last. Best combination of shock absorption and energy-return. Athletes looking for cushioning who participate in a variety of physical activities. Best combination of shock absorption and energy-return. Athletes looking for cushioning who participate in a variety of physical activities. Effective for use in all team sport competition and training. Consumers seeking additional cushioning in both the forefoot and heel.